Call letters: CFBR=The Bear; CFCW-FM=CAM-FM; CFMG=Virgin Radio; CFRN=TSN 1260; CHBN=The Bounce; CHDI=Sonic; CHQT=iNews880; CIRK=K-97; CISN=Kissin' Country; CIUP=UP 99.3; CJNW=Hot 107; CJRY=Shine-FM; CKEA=95.7 Cruz FM; CKER=World-FM; CKJR=W-14-40; CKNG=92.5 Fresh FM; CKNO=NOW Radio; CKRA=Capital-FM; CITV=Global Edmonton; CFRN-TV=CTV Edmonton; CJAL=CTV Two Alberta; CKEM=City Edmonton; CKES=CTS TV; CJEO=OMNI Alberta. Andy McBeth - Creative Services Director CFBR-FM/CFMG-FM 2009-current. Matthew McBride - graduate, BCIT Broadcast program Burnaby, B.C. 1982; CFBV Smithers 1982-83; CHTK Prince Rupert 1983-84; CHAB Moose Jaw 1984-85; CHFM-FM Calgary 1985-87; swing/middays & host Dance Party CKKS-FM Vancouver 1987-91; first music director/APD/middays CKZZ-FM Vancouver 1991-95; GM CKMM-FM Winnipeg 1995-97; GM CIRK-FM Edmonton 1997-98; Consultant Broadcast Management Services 1998-2001; PD CFBT-FM Vancouver 2001-02; GM Central Island Broadcasting CKWV-FM/CHWF-FM Nanaimo, CIBH-FM Parksville, CKLR-FM Courtenay 2002-03; formed McBride Communications & Media 2003; acquired licence for CHMZ-FM Tofino BC 2004; acquired licences for CIMM-FM Ucluelet and CFPV-FM Pemberton 2006; acquired licence for CKPM-FM Port Moody 2008. Joe McCallum - Announcer CKUA Edmonton late 1940s-late 1960s. Al McCann (Allan) - Sports Director CJLJ-TV Lethbridge 1959-63; Sports then Sports Director CFRN AM & TV Edmonton 1963-early 1990s; member CTV Olympics broadcasting team 1980 & 1988. Retired. Bob McClelland - CHWK Chilliwack 1962-63; CJJC Langley 1963-mid 60s; CHQT Edmonton mid 1960s; News writer/city hall reporter CHQM Vancouver 1966-69; elected to Langley City Council 1968-73; Operations Manager CJJC circa 1970; British Columbia MLA 1972-86 including Minister of Health 1975-79, Energy 1979-82, Labour 1983-85 and Economic Development 1985-86; retired 1986 and currently living on Gabriola Island. Bob McCord - DJ KLIF Dallas 1966; Manager, Just Us Five rock group; KILT Houston 1966 ReelRadio aircheck; CHED Edmonton; founder & owner CISN-FM Edmonton 1982-88; President CISN 1988. Retired in California. Scott McCord - Writer CFMG-FM/CFBR-FM Edmonton current. Grady McCue - Announcer CFRN-AM 1970s-1990s. Deb McCurdy - Promotions Director CHQT & CISN-FM Edmonton to 2006; Promotions Director CFCW-AM & CKRA-FM Edmonton March 2006-current. 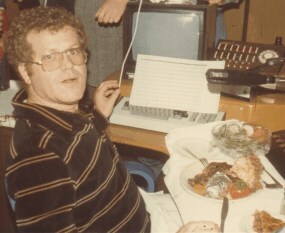 Ron McDonald - News Director CKUA 1980s; Chairman Journalism Program Mount Royal College Calgary. Wayne McDonald - CKSO-TV Sudbury, Ontario; CKCO-TV Kitchener, Ontario; VTR CITV-TV Edmonton 1974-94; Vice President Operation WIC Premium Television Edmonton 1994-2000. Retired to Goderich, Ontario in 2000. Born Wayne Robinson McDonald in Espanola, Ontario on August 25, 1948 and died of cancer on July 30, 2010, in Goderich, Ontario. Garry McDonall - Music Director CJCA Edmonton 1966. Michele McDougall - News City-TV Calgary; weather CKEM-TV Edmonton Sept. 2006-current. Pat McDougall - Continuity Writer CKY Winnipeg 1950; Apprentice Announcer CKUA Edmonton 1951-52; News AM Drive CKRC Winnipeg 1952-58; Program Director CKUA Edmonton 1958-60; Continuity Writer CFRN-TV Edmonton 1960-61; Broadcast Journalist CBXT-TV Edmonton 1961-65; General Announcer & Host CBMT-TV Montreal 1965-87; Host Afternoons Blue Danube Radio Vienna, Austria 1988. Bio. 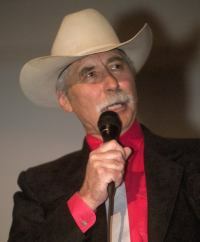 Bill McGee - DJ all-nights CFCW-AM Camrose/Edmonton 1972; Sales CFMG-FM Edmonton 1990s-2011; Sales CKEA-FM 2011-current. Lisa McGovern - Sales CISN-FM Edmonton 2001. Garrette McGowan - helicopter traffic Canadian Traffic Network (CHED/CHQT/CKNG-FM/CISN-FM & fill CITV-TV) Edmonton April 2006-June 2008; airborne traffic Skywords Traffic Network (CFCW/CIRK-FM/CKRA-FM) Edmonton June 2008-current. Mike McGuire - Middays CISN-FM Edmonton current. Adam McKale - Middays CHBN-FM Edmonton 2006-December 2009; Middays CKNO-FM Edmonton January 2010-current. Bob McKay - CJCA Edmonton; Manager of Program Operations CBC Edmonton. Retired to Oceanside, California. Born Robert John McKay on December 19, 1927 and died August 30, 2014 in Oceanside, California. D. John McKenzie - Director of Development & External Relations CKUA current. Earl McKitrick - News CJCA Edmonton 1964. John McKitrick - General Announcer CJNB North Battleford, Saskatchewan 1953-55; General Announcer then News Director CHAB Moose Jaw, Saskatchewan 1955-57; News CKNW New Westminster, B.C. summer 1957-58; News CKWX Vancouver 1958-60; News CJCA Edmonton 1960-61; News/assignment editor CKNW 1961-90. Retired then night school instructor broadcast journalism British Columbia Institute of Technology Burnaby, B.C. 1992 on. 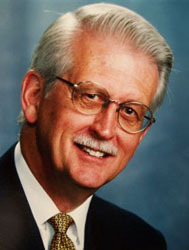 Bob McLean - Graduate College of Broadcasting, Ryerson Polytechnical Toronto. Hockey Play-by-Play Announcer, Program Director 1955, DJ 1958 CKBB Barrie, Ontario 1950s; Sports Director CKVR-TV Barrie, Ontario 1957; CHCH-TV Hamilton, Ontario; Host The Bob McLean Show WUAB-TV Cleveland, Ohio September 15, 1968-70; Host McLean & Company KYW-TV Philadelphia, Pennsylvania 1970-74; Host Dialing for Dollars WPVI-TV Philadelphia, Pennsylvania 1973; Host Definition CTV-TV 1974-75; Host The Bob McLean Show CBC-TV 1975-81; Announcer CKXM-FM Edmonton early 1980s; Host On the Town CFRN-TV Edmonton early 1980s; Announcer CKO-FM Vancouver, B.C. ; Morning Announcer CKO-FM Toronto, Ontario 1986; CKCO-TV Kitchener, Ontario; Announcer Mid-days CHWO Oakville, Ontario 2000; Talk Show Host CKWR Kitchener, Ontario 2011. Retired in 2011 to Brampton, Ontario. Born Robert Ernest McLean and died in Brampton, Ontario, on April 22, 2014 at age 81. Norris McLean - Announcer CKOK Penticton 1950-56; DJ CKWX Vancouver 1956-61; Production Manager CKPG-TV Prince George 1961-63; announcer CFRN Edmonton 1963-64; announcer/weatherman CFRN-TV Edmonton 1964-79; new home Real Estate sales 1979; Account Executive CITV-TV Edmonton 1980-93. Retired from broadcasting; real estate agent and company owner 1993-2000s. Born in Vancouver, B.C. on June 5, 1933, and died in Edmonton on October 4, 2009. Hugh McLennan - CFRY Portage la Prairie, Manitoba 1961; CJOC Lethbridge 1961-62; DJ morning drive CKRD Red Deer 1963; DJ, News and host, Telpinion open line show CKDA Victoria, B.C. 1963; DJ morning drive CKOV Kelowna, B.C. 1963-68; host News, weather, sports, interviews CHBC-TV Kelowna, B.C. mid-1960s; DJ afternoon drive/weekend mornings CFAC Calgary 1968-69; Program Director/Production Manager CFJC Kamloops, B.C. 1969-73; Operations Manager CKPG Prince George, B.C. 1973-74; host/producer The Spirit of the West syndicated in U.S. and Canada current. Born in Edmonton. Larry McLeod - Operator CFRN-FM/CKXM-FM Edmonton 1960s-70s; Uncles at Large Edmonton; advertising Woodwards Vancouver. Born Duncan Lawrence McLeod. Blair McNabb - Advertising Sales Lethbridge Herald; Advertising Canada Packers Edmonton 1963-mid-1960s; Sales CKSA AM & TV Lloydminster mid-1960s-1967; Sales CJCA-AM & FM Edmonton 1967-79; Retail Sales Manager CIRK-FM Edmonton 1979-88. Retired to Edmonton (near Ardrossan) 1988. Born in Lethbridge. Jim McRae - Program Director and announcer CKUA Edmonton 1944. EdmontonBroadcasters.com is a work in progress and your input is requested. Any material you can share with us would be appreciated, especially names and information on broadcasters we have missed, plus photos or corrections. Information can be posted on the RadioWest.ca Discussion Forum, or e-mail us with information to info@edmontonbroadcasters.com or photos to photos@edmontonbroadcasters.com.